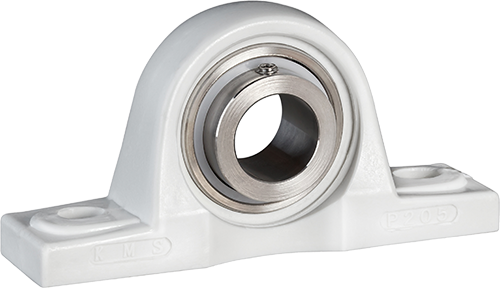 KMS Bearings produces Pillow Blocks from PBT, a glass filled reinforced engineering polymer, that will never corrode or rust. When inserted with a KMS 316 stainless insert ball bearing, they provide superior corrosion resistance compared to any mounted unit offered today. 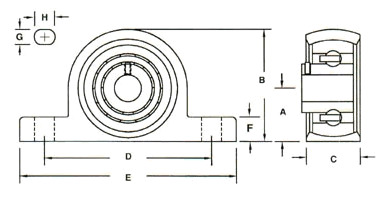 LUBRICATION: Acetal Insert bearings are supplied dry. When necessary, special order lubricants can be provided.